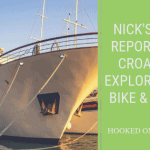 Welcome to Hooked on Cycling and our cycling holidays in Italy passing around the Lakes of Lombardy from Lake Garda to Lake Como and Lake Maggiore. The route basically takes you on cycle paths and country lanes from east to west. Lombardy is a hilly region to the south of the Alps but we follow as much as possible roads with little incline. The first section of the tour takes you along the Mincio River, this is the Cycling Route del Sole or Eurovelo 7. In Como it crosses La Via dei Pellegrini cycle tour which Eurovelo 5. You will experience by bike the beautiful nature of the area and the rich artistic sights which make this route so interesting. While cycling you will generally find little traffic on these roads with some sections where cars are not allowed at all. The rise in elevation is minimal. Day 2 Peschiera – Brescia 28/43 miles 45/70km. From the harbour fortress of Peschiera on Lake Garda, you cycle to the Mincio River and soon arrive at Monzambano, a town with its wonderful castle. The peaceful rolling hills accompany you as you cycle to the town of Castellaro Lagusello, surrounded by a medieval wall. The first castle in Pozzolengo was erected over a thousand years ago to defend against the Hungarian raids. Through the vineyards, we come to the tower of San Martino with inscriptions of the victims from the Battle of 1859. In the church of San Zeno in Rivoltella, we find ancient worn frescoes. Before the year 1000, the Hungarians also raided Franciacorta. A defence was made by constructing “rural” castles. Lake Iseo heralds the Torbiere (peat moss) of Sebino, a natural reserve which is watched over by the impressive monastery of San Pietro in Lamosa. The fish in the lake have a particular taste exalted by a long gastronomic tradition. The Oglio River passes by Sarnico where we enter the Bergamo region pedalling along a part of the river bank. Day 4 Sarnico/Iseo Lake – Bergamo 22 miles 35km. The flat country of Bergamo with its towers and castles that rise above the emerging hills, the real splendour of the feudal ages. The agriculture remains as an important and profit-bearing activity, but approaching the city, the space that separates one town from another is inconsistent: the outer city is compact, strewn with industry, densely populated. Day 5 Bergamo – Lecco/Garlate 25 miles 40km. Leaving Bergamo we cross the Brembo River in Ponte San Pietro and go uphill very near Mount Cavo with villages resting on slopes. Pope Giovanni XXIII, whose house you can visit, was born in one of these, Sotto il Monte. We pass over some hilltops and descend towards the Adda River, which is part of the eastern leg of Lake Como. This river course provides a particularly beautiful landscape. For quite a long way we pedal along the Adda, the waters of which near the lake form caves that reflect the green of flourishing nature. Then we pass through Brianza, between the lakes of Annone, Pusiano and Alserio. This population, which is proverbially composed of workers, has really transformed the territory. The meadows, however, have retained an almost Alpine colour and freshness. Next, to the church of Oggiono there is a beautiful Romanesque monastery constructed with squared stones. The shores of Lake Alserio have been well maintained. We ride along an unpaved road immersed in a wood. Then we travel through a large hilly area studded with noble residences. At last, we go down to Como. The splendour of Broletto and the cathedral testify to the ancient strength of this city, made lively by the pedestrian streets in the centre and in piazza Cavour facing the lake. You leave Como going up a hill, soon you have lovely views of the city. Immediately after, there begin some undulating hills where each climb is compensated for by a downhill glide. The towns have preserved small treasures such as the Romanesque Oratory of San Martino in Albiolo. At Varese, you arrive pedalling uphill. With a visit to the town centre and a recuperative break in the grandiose park of Palazzo Estense, you will forget the slight fatigue of this stage. From Varese it’s a quick descent to the lake, where in warm seasons people go for a swim. Further on, you come to Lake Monate and a little after that a panoramic view of Lake Maggiore. From Osmate, you go through a little valley, re-entering Park of Ticino which is well kept and green. In the distance, you can see the many Alpine peaks. By plane to Bergamo, Milan or Verona airports and the by train to tour start.